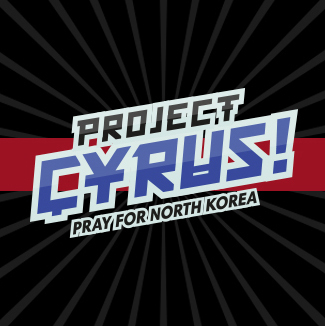 Project Cyrus is a prayer network focusing on North Korea. God has already been faithful in answering several of our prayers for North Korea, and, as we enter an exciting new phase for Project Cyrus, you can sign up today as an individual (using the form on the right) and receive regular updates, news and access to events where you can hear what God is doing in North Korea. For security reasons, these will be in hard copy, but sign up now and we will write to you soon with information and an opportunity to support God’s work both spiritually and practically. Cyrus the Great was one of the most powerful and remarkable rulers in the sixth century BC: a Persian praised no less than 22 times in the Jewish Scriptures for his liberation of the Jewish people from their Babylonian captivity. It is this spirit of benevolence and commitment to freedom that Project Cyrus seeks to pray for the leaders and the people of North Korea. Sign up to Project Cyrus today to receive updates, opportunities to support in practical ways and details of Project Cyrus Prayer Events by physical post.